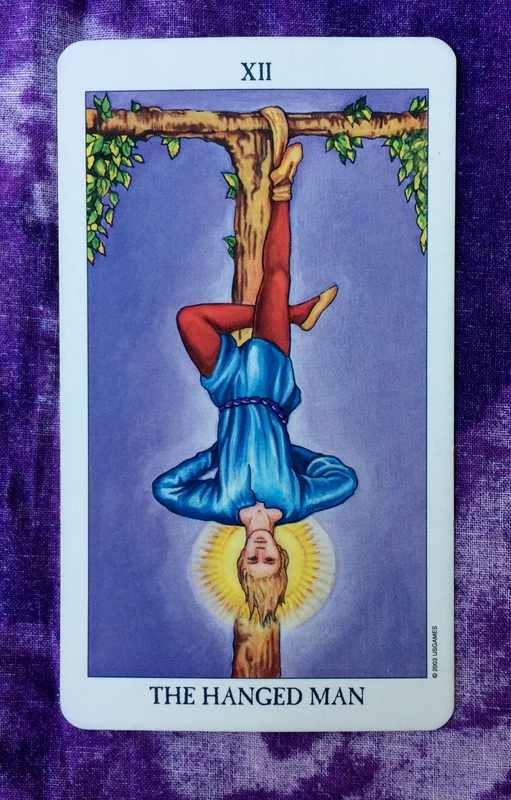 The card for today, Saturday, and Sunday is the Hanged Man. This card is not about helplessness. It’s about you making the decision to take a step back and not react the way you normally would. You are consciously gong to to see things differently. You’d be surprised how much insight you can gain by taking that approach. Here’s how the Hanged Man works. Remember the story of Archimedes? He was a Greek scientist way back in ancient times. He was working on a scientific problem that he just couldn’t figure out. Then, one day he decided to forget the problem and take a bath. When he sat down in the water, he suddenly realized the answer to his problem and shouted “Eureka!” There, we see that you can have a light bulb moment by doing something that doesn’t seem to have anything to do with the problem you are trying o solve. If you are a workaholic, then relax for a change. If you would usually react in anger in a given situation, then react calmly instead. If you would normally say no when someone invites you out, say yes instead and have fun. Give somebody the benefit of the doubt instead of being suspicious. Trust your intuition if you normally ignore your feelings. Don’t get so invested in your usual point of view. Find out what you have been missing.